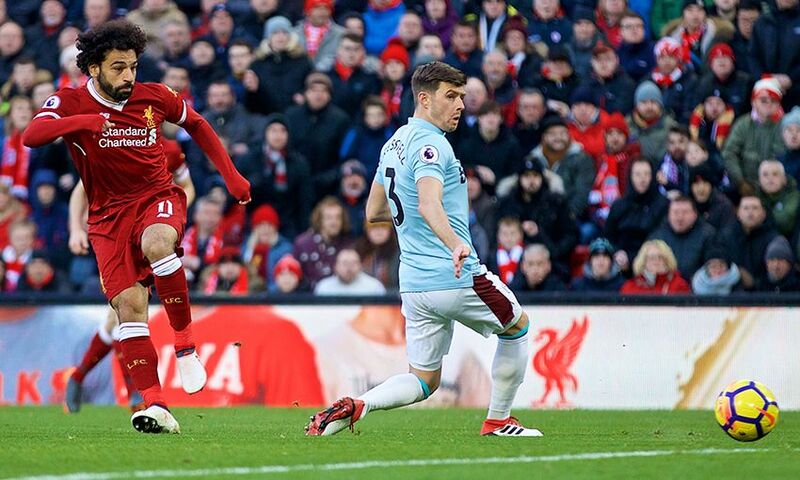 Mohamed Salah set a new Premier League goalscoring record as Liverpool beat West Ham United 4-1 at Anfield on Saturday. The Egyptian, who provided the assist for Emre Can's opener and also hit the post, later finished off some excellent work from Alex-Oxlade Chamberlain to score the Reds' second goal. Salah's 51st-minute strike inside the far post was his 20th left-footed goal in the Premier League this term - the most by any player in a single campaign in the competition's history. 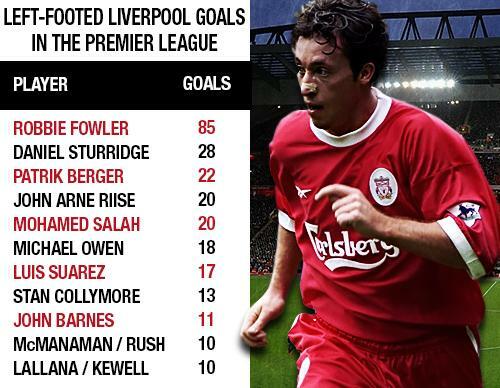 The No.11 broke the record of former LFC striker Robbie Fowler, who scored 19 goals with his left foot during the 1994-95 season. Salah has scored 31 goals in all competitions this season, with 23 coming in the Premier League and 87 per cent of those via his favoured boot. 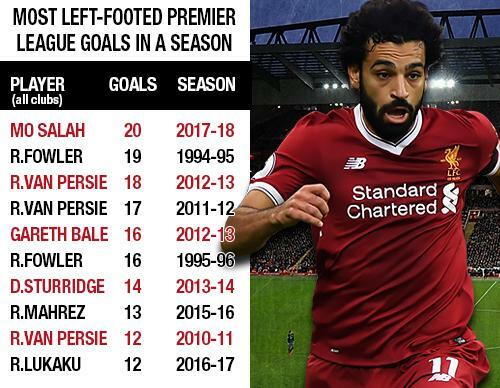 The 25-year-old is already joint-fourth in the standings for Liverpool's all-time left-footed goals in the Premier League but still has a way to go to beat Fowler's club record.